ECU definitely needs some sort of buff... maybe bigger like it is in the current skirmish? Haha, actually I like that they increased the times for robots, it was RIDICULOUS. I got raven, pursuer, a shredder, a dragoon, and two ions in the short time WS2.0 was at its peak. Other players were doing the same, and so everyone had low level OP bots and the game was ridiculous. Well, battles were. sometimes the spectre in front of you would take two dragoon hits to kill and sometimes it would take 30. You would never know! So glad this change happened, hopefully things will calm down now. Also, why does it seem like the only people on here just rant all the time? Pixonic nerfed the pinata simply to reflect the changes made to orkans. I agree with the last part. well they did say they were going to do this a long time ago... should have spent them when you could. Also, you will get a bunch of keys as compensation, with 100$ worth of workshop points you should get enough keys to open a couple 1000 chests. yeah, i saw that no one got keys. cmon pix that is kinda blatant fraud right there. I completely disagree. LepusAmericanus is right, the only times I have ever used snipers is when I was forced to due to a lack of other loadout options. And who, right now, is desperately working as hard as possible to get their dream loadout, the magnificent arbalest-trebuchet leo. No one, thats who. Snipers and midrange support can now be more mobile, I find that strider with pins and a dragoon works really well. It is both support, and a beacon capper. It never sits in the corner of the map, hitting anyone dumb enough to walk in its line of sight. This is a new age for snipers. ughh why don't you guys understand???? there is more silver required for upgrades. Silver rewards greatly increase for each league after this update. So, tankers will be getting way less silver, and tokens, (that alone is ridiculous, there is an 80,000 difference in tokens between bronze and diamond alone, greater if tankers could have been at expert or champion, which is like an entire specter or haechi) which means they will be getting way less rewards for each battle. Thus, they will either get nowhere in the game or fight their way ALL the way back up. I don't think you understand... the whole point of this change is to make quick-level-ups with money too ridiculous to be worth it, while at the same time letting other players get a wider variety of weapons. Now, it will actually take work to get maxed bots, instead of being able to buy your way up. Now, you would have to be a millionaire to get bulg shocktrains maxed. Also, because silver has half the value, but you get twice the silver from league rewards, you are now almost completely dependent on league rewards to get silver, meaning tanking has no value now except for quickly destroying bots with no rewards. well, the whole point of changing the WSP 2.0 is to get rid of WSP and replace them with components. I dont think they will add wsp to boxes, since they are trying to get rid of them. why does it have medium slots on the cover... are we going to be able to modify this or something?? I noticed it has unused medium slots on the sides, what is going on with this robot??? wow. That is some impressive work valkyrja. 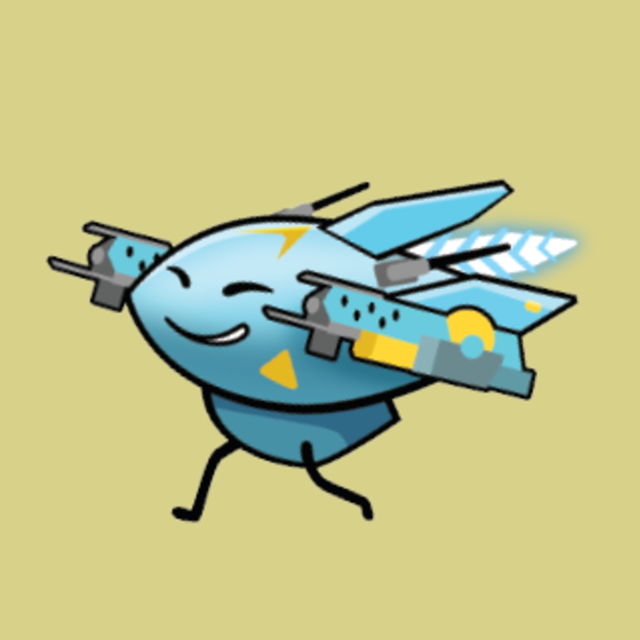 I do like the idea of anti-missle drone, since this could block slow tracking missles like hydra and spiral, but not enough to take out all of the missles in an aphid or vortex. Taran fujin will soon be an all-component setup. WSP are going away, remember? umm... pls dont pixonic. this would be insane. Btw, the modules dont add abilities, they add special buffs. I like the idea of a home base. This would make the game much more balanced, there would be less total defeat in two minutes matches. But, this could possibly give campers an extra advantage, since they would be able to hide in their home base and be protected. why are my comments going to the bottom??? one question, will each robot have one of each type of module, like one attack, one def., and one special? or will it be different for each robot?? well they aren't just going to take shocktrain out of the game, it is supposed to have a purpose. But, I think the only thing they need to change is that it is supposed to excel at hitting multiple bots, not as great for hitting one bot. But, they made it the opposite, decreasing the secondary damage and adding to the initial damage. ??? Why did you guys do this??? After a certain amount of damage has been done to a robot, then this ability is activated. The targeted robot can no longer control their robot/weapons to move and fire randomly. Not only would this be a tactical advantage, it would be absolutely hilarious. thanks for letting me get a quick sneak peek!! You guys probably should have explained why you made the black market worse. I guess it makes sense, because you made it a lot easier to get keys since you get them from supply drops. But, the keys were supposed to replace the components you used to get from them. Now you don't really get much from supply drops, they are almost useless now. At my level, I used to get around 400 inquisitor components per 4 supply drops. Now I get 100 keys. I can assure you, 100 keys gives you a lot less than 400 components. I usually get something like 60 gold from 100 keys. Basically, you just nerfed supply drops into oblivion. Yeah, everyone was getting inquisitors very fast, but this is too much. 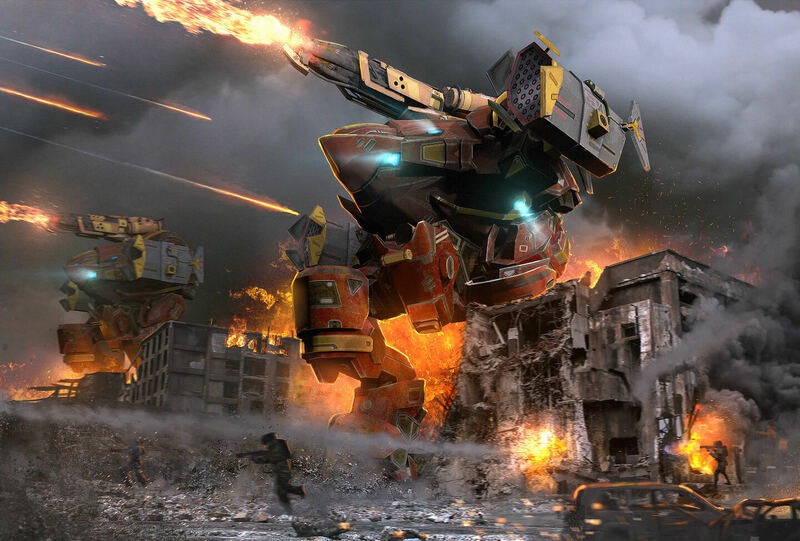 When a robot is stunned with Energized Ammo, it stuns for a few seconds and then is invulnerable to stun for a few seconds, meaning that punishers will not become stun-machine guns. Also, as a side note, shocktrains will only stun on the first target hit, so you can't stun the whole team in one shot. there is no need for balance if you have strategy. A stronger opponent simply means you will have to work harder for your victory. There is only one thing I think needs changing, and that is death squads. When an entire squad tanks and takes out the blues in 10 seconds, then that does need to change. Other than that, everything is simply chance. Whether you have the advantage or not, play your hardest and stop complaining. I haven't seen anything so far as to what the event will have. I am assuming it will have tasks similar to the other events, but it will probably be more focused on component items. And yes, WR Royale tokens will likely become the new currency for the WR Royale. I am not absolutely sure it will come out today, but it probably will. This is good on paper, but does not take into account Pixonic's long term plan. Component robots, such as Carnage, dash, stealth bots, and the like are meant to make the older, slower robots obsolete. The problem is that not everyone can get the new robots quickly due to the fact that some people spend massive amounts of money. I agree, though, that since carnage, raijin, fujin, and rhino will be component bots, that they will need a significant buff to compete with the newer component bots. your problem is??? players in inactive clans will leave to go to active clans, and with the new clan invite and other things coming it will be easier to find a good clan. they have already told us they are fixing both. Tankers will be discouraged by making your league more important to getting rewards than battles themselves. And, a new hanger look is coming, with a better inventory layout. Welp, yet another player who ignored Pixonic's post. The chest system now lets you pick which type of reward you want. If you want components, you have to actually save your keys and get a 1000 chest instead of buying a silver the moment you can. Finally someone who is reasonable. Most of the time I shy away from the forums because all I find is the opposite of this comment. I am just wondering why people didn't figure this out before. Yeah, it takes time to make changes to the game. Yeah, the implementation of a new set of more powerful bots is a game changer. Yeah, while they are working on it the game is going to be a bit out of whack. Tough it out, wait till Pixonic is finished. Then you can criticize it. as for an ability that uncloaks robots, I think there needs to be a commando sniper type robot, something light, mobile, but with a good amount of firepower, plus the "uncloak" ability, basically a more powerful scope. Also, there should be an actual scope for snipers, right guys?